Kessels Single Stage Steam Turbines are economical and reliable mechanical drives for Pumps, Fans, Knives, Compressors and Generators. For last 2 decades our engineering staff has worked hard reviewing the customers/ Consultant requirements and their queries to meet the strict standards of API 611 and 612. Our Steam Turbines are installed and running in various industries, and are well known for its performance even at very low pressure. Our Single Stage Steam Turbines are available in more than 15 frame sizes and design options to meet steam conditions and application requirements up to 4,000 HP in single stage configurations. Oil and gas Food processing, Chemical processing, Pharmaceutical, Steel, Paper, Sugar, Palm oil, Marine, Edible oil, Rice, Fertilizer. 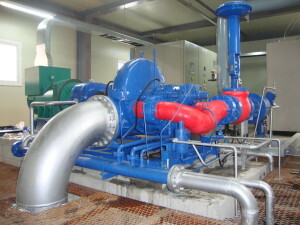 7 models, Horizontal (axial and radial split), Vertical , API 611- and 612-compliant, Overhung and between-the-bearings wheel designs, metallic or carbon seals, Electronic / Hydraulic Mechanical governors, Customized steam path components, Mechanical / Electronic safety trip system, Direct-drive or integral gear boxes with suitable lubrication systems. 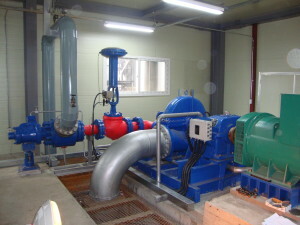 HP (75 kw) Direct drive application for critical duty pumps. ETH- Horizontal Split Casing Cost effective, easy to install mdium speed workhorse. ETV- Vertical offering all the features as the ETH in vertical design. ETS- HorizonatalSplit Casing API 612 compliant. ST-Horizontal/ Axial casing- Curtis wheel Single- Stage Steam Turbine for heavy duty.